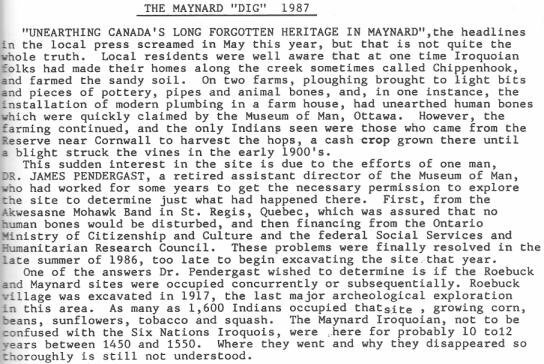 Key words: Chippenhook, Museum of Man, Cornwall, Mohawk, St. Regis, Heck's Mills, Roebuck, Mr. McIvor. fortified place and Governor Beauharnois just as the Intendant Hocquart urged the order to fulfill its obligation. with Algonquins in their struggles with the Iroquois. The latter allied with the English and were enemies of the French. and three chapels at the top. Ignace Raizenne and Elisabeth Naim. Raizenne's Iroquois name is Sounontakanni and Naim or Nimb's is Tweattokwas. See also the web site of photographer Jeff Thomas, Urban Iroquois.